Died: January 31, 2005 in Operation Iraqi Freedom. Unit: U.S. Marine Corps Alpha Company, 1st Battalion, 2nd Marine Regiment, 2nd Marine Division, II Marine Expeditionary Force, Camp Lejeune, N.C. Birth: Jul. 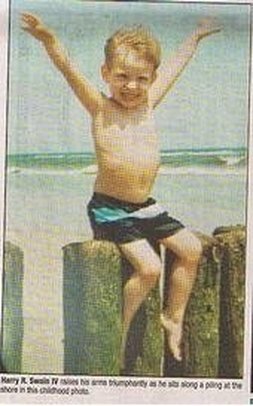 29, 1983, Vineland, Cumberland County, New Jersey. 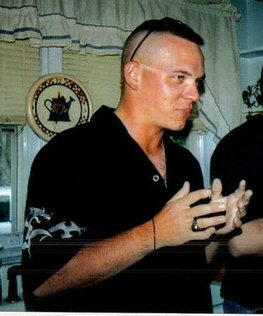 Harry R. Swain IV, age 21 of Millville, died Monday, January 31, 2005 while serving his country in Iraq. Born in Vineland, he grew up in Millville, and graduated from Millville High School, class of 2001. He was a graduate of the Cittone Institute of computer science of Mt. Laurel. He enlisted in the U.S. Marine Corps, where he served gallantly. He had planned to join the F.B.I. upon completion of his military service. 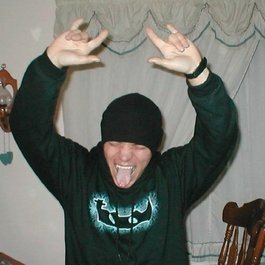 He was an avid reader, and he enjoyed karate and playing computer games. He is survived by his father Harry R. Swain III and step-mother Lisa of Vineland; his mother Deborah (Hannah) Lago and her husband Raymond S. of Millville with whom he resided; one brother Jaymes P. Swain serving in the U.S. Marine Corps in Iraq; one sister Morgan Swain of Vineland; a step-brother Aaron Dickel; and step-sisters, Krystal and Shawna Dickle, all of Vineland; grandparents, James and Pearl Hannah of Sevierville, Tenn., Carol and Ed "Stump" Camp of Henderson, N.C., Raymond and Claire Lago of Alamogordo, N.M., and Anne Lago; and great grandmother Peggy Reynolds of Phila., Pa. 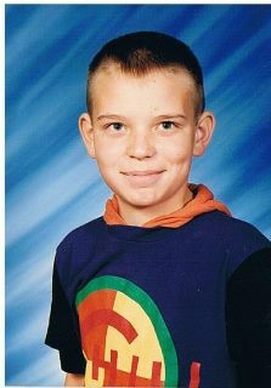 Son, I wish I could be celebrating your 33rd birthday with you in person; instead I have much sorrow in my heart today. Lance Cpl. Harry R. Swain 4th was killed in action on 1-31-2005 in Northern Babil, Iraq by a roadside bomb. United States Marine Corps Lance Corporal Harry Swain IV, a resident of New Jersey, Harry IV was born and raised in Vineland,NJ most of his life. He moved to Millville, NJ and graduated from Millville Senior High School in 2001. Swain a Millville native enlisted in the Marine Corps shortly after the Sept. 11, 2001, terrorist attack, with the hope of eventually becoming a member of the FBI’s Hostage Rescue Team.Harry R. Swain IV was a former employee at the Holly City Deli on 10th and Broad Streets in Millville, where he got to meet a lot of Millville residents, and worked with one of his best friends. He worked there through high school and right up until the week he left for boot camp. He was a voracious reader, and was a member of the Bowling Club and Students Against Destructive Decisions (SADD). He had a real passion for life, and cared about his Family and Friends. He was committed and gave everything his all. Harry had that magic about him, and a unique sense of humor that just made you laugh. He was very clear about how felt about things, and if he disagreed with you he would let you know, but he was always respectful about it. He always had a smile, and a big wonderful heart. Harry had that Special gift, he could walk into room and meet you for the first time. By the time he left, you thought you have known him for a lifetime. He truly knew how to make you feel comfortable. A true Friend to all. He wanted to go over there, to fight for his country. Lance Corporal Harry R. Swain IV proudly served as a member of the U.S. Marine Corps Alpha Company, 1st Battalion, Second Marines, as a machine gunner and was deployed to Iraq in the service of his country for two tours of duty, where he received the Presidential Unit Citation and Combat Action Ribbon for his performance in battle at An Nasiriyah, Iraq March 2003. The BLT 1/2's motto is "Others Will Follow, Where We Lead". Most recently, the battalion saw Combat during "Operation Iraqi Freedom" as part of "Task Force Tarawa" (2003), and with the 24th MEU in Iraq (2004/05). Lance Corporal Swain was a courageous Marine, and a loving son and brother, and made the ultimate sacrifice, giving his life in the line of duty while serving our nation. Lance Corporal Swain’s patriotism and dedicated service to his country make him a hero and a true role model for all Americans. 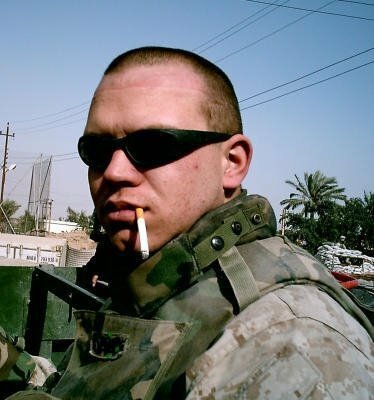 As a young Millville native currently serving as an active duty United States Marine Corps infantryman out of Camp Lejeune, North Carolina, I can tell you for certain that the problem of Iraq is not going to go away unless we do something about it. Springsteen shouldn't worry about "putting ... American lives on the line" because when those of us in the armed forces joined the military, we were fully aware of the dangers that may one day be placed upon us. As such, many of us are willing, even eager, to put our lives on the line, not only for the defense of our country but for the defense of all people, everywhere. This is what we signed up for, and this is what we do, for to do any less would violate the very fabric of our Constitution, which we are sworn to protect. "All men are created equal" means all men and all women, not just the citizens of the United States. This young man believed in the USA and what we stand for. We would appreciate if you could honor this hero and the two other Marines that died with him. DoD Identifies Marine Casualties The Department of Defense announced today the death of three Marines who were supporting Operation Iraqi Freedom. Lance Cpl. 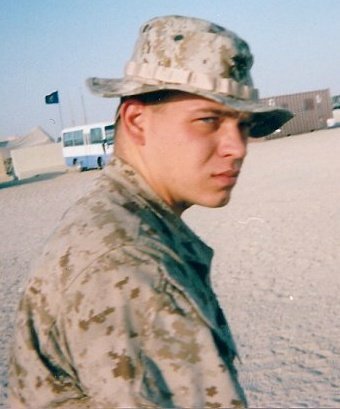 Jason C. Redifer, 19, of Stuarts Draft, Va.
Lance Cpl. 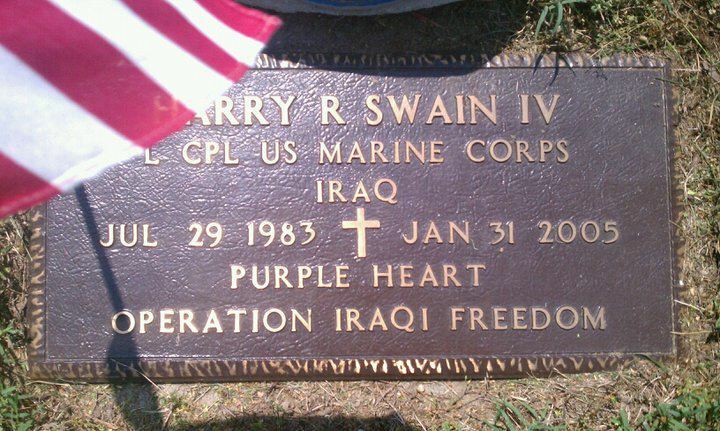 Harry R. Swain IV, 21, of Millville, N.J.
Cpl. Christopher E. Zimny, 27, of Cook, Ill. The three deaths raised to 15 the number of 24th MEU Marines killed since the unit deployed to Iraq last July. All three Marines died Jan. 31 as a result of hostile action in Babil Province, Iraq. They were all assigned to 1st Battalion, 2nd Marine Regiment, 2nd Marine Division, II Marine Expeditionary Force, Camp Lejeune, N.C.
Harry enlisted in the Marine Corps April 8, 2002 in the delayed entry program after he signed up after 911, after graduating from the Cittone Institute. Harry joined BLT 1/2 on Sept. 21, 2002, and served with the unit during the liberation of Iraq in 2003, and with the 24th MEU in Iraq 2004 . 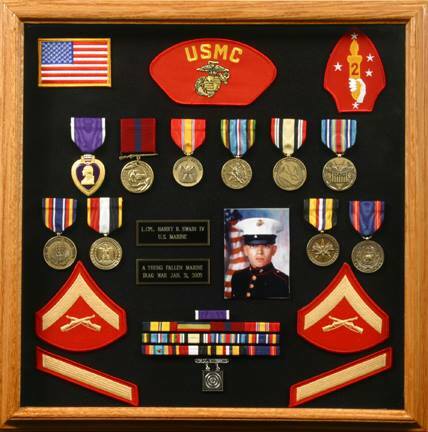 His personal awards include the Purple Heart, the Combat Action Ribbon, the Presidential Unit Citation, the National Defense Service Medal, and the Global War on Terrorism Expeditionary Medal, the Global War on Terrorism Service Medal, and the Sea Service Deployment Ribbon. Harry knew the true meaning of "Semper Fidelis”, which means "Always Faithful". He was given a mission, and upheld it with Honor, Respect, Humanity, and Dignity. We didn’t know what the true meaning of “Death before Dishonor” really meant, until now. It takes a remarkable person not just to say a Creed and Memorize a Creed, but also to live by a Creed, that’s what Marines do. Harry did his Country proud.